Oh, Long Island. You are the birthplace of so many things I love. Like my dad, but more importantly, Long Island Iced Tea. When you want to forget your own name. She's loud. Oh and she talks to dead people. Look! Her family can even channel The Jersey Shore's style sensibilities! Caputo also performs private and group readings, where she usually enters with a joke to ease the tension, then explains that she focuses on positive messages. If she does convey anything negative, it’s only because it will benefit the message recipient. Definitely a point worth noting when you’re talking to a mother whose son was shot in a crime currently under investigation, or the child of someone who lost a parent in 9/11. Caputo usually picks up on numbers and objects when she performs a reading. "I'm serious. He's looking up my skirt RIGHT. NOW. ...Oh. I'm not wearing a skirt? Well, this is awkward." The skeptic in me watches and thinks, “Duh. She probably Googled this chick before the reading.” But the guilty pleasure fiend in me wants to believe. And I know wanting to believe is what makes these supposed scam artists successful – they capitalize on our vulnerability, and our intense desire to believe there’s life after death. But I still kinda believe. Especially if believing means crying during every episode. What do you think? 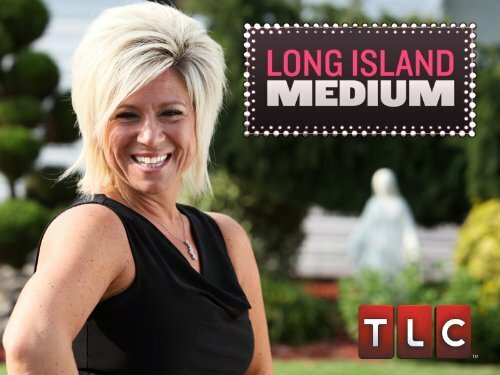 Is the Long Island Medium (and others like her) legit? Next postLast Call for Guilty Pleasure Gift Basket Giveaway Submissions! Let me know if you do, Tracy! And if you think she’s the real deal! I am totally hooked. Even though I have almost no idea what you are talking about, I love the way your writing style makes me laugh! hahaha JM, I’d be happy to answer any questions you have about the Long Island Medium 🙂 And thank you so much for the compliment – that really does mean a lot to me [that it makes you laugh]! First of all, oh my GAWD, this is what everyone in Aruba sounded like, except they wanted Bee-AH from the BAH. That said, this looks kind of cool. I believe in angels because of a mystical experience I had at summer camp when I was young. (Weird, eh.) but I don’t think I’d buy this unless I experienced it firsthand. Ha! I was thinking about that, Renee, because I wrote this before your vacay-from-hell post! The L.I. Medium is pretty likable, though! I can’t because it may be in my book. But if it hits the cutting room floor. It will be a blog. One way or another, you WILL know the story. Oh my god! This is too weird. I JUST discovered this show last weekend and have managed to record about 5 episodes. I watched a few in a row last night and was bawling like a baby. I have to watch it with a big box of tissues, I am so bad. I love her, just love her. she’s so brash and real. So I take it you’ve never had a reading? Because if you did, you would totally believe in it. I am lucky in that I have three close friends (yes, three!) who are ALL mediums. I get free readings all the time. When a medium tells you something that only you and the deceased person would know, I tell you, Jules, there is nothing like it. You get chills, it’s like being hit by a truck, it’s that life-changing! Don’t mean to go on and on, but yeah. I LOVE Long Island Medium!! Holy moly, Darla, YOU just gave me chills!!! That is AWESOME. I want to hear so so so much more about this. I did go to a psychic for my 13th bday, but I’m not sure how legit she was. Here’s something weird (and guilty pleasure-y) for you about it, though — she made me put my hands on this crystal ball and make a wish (probably the first sign she might not be totally legit? LOL). Being 13, I wished to meet Jonathan Taylor Thomas. Three years later, a friend in Canada forwarded me an email about being able to see him during a taping of the View. I called the number thinking there was no chance in HELL this was for real, and they were SO desperate for teenage audience members to cheer him on (hard to get on a school day, I guess? ), that they SENT A LIMO TO MY HOUSE IN NJ to pick up me and my friends, LOL We made signs, were escorted in front of everyone in line, put in the front row, and got to meet him. Weird, right? I mean, come on, you couldn’t find 10 teenagers in NYC?!?! I am going to email you a long long message this morning that will blow your mind! That is creepy, given the topic!!! BTW if I don’t respond to your email right away, it’s cause I’m in training all week and it’s hard to check email (if not impossible)! OH. AND I didn’t even mention a KEY piece to this JTT story (sorry for the 10,000 comment replies, LOL) – I made the wish SILENTLY. No one ever knew. Chills. I have chills. I haven’t gotten around to writing out my email, it’s several cool stories. I will try and find some time tomorrow morning! Oh, my TLC soul sister! Only you could write such a lovely review of a show from the best network on the planet. Of course, I’ve watched this one, too! I’m like you; part skeptic, part believer. I want it to be true. I do imagine that a life of seeing dead people would be sort of creepy, but she seems to embrace it. PS, This Sunday—American Gypsies!!! Squeeeeee!!!!!!! For a large sum of money, I will answer all of your questions on my Ouija Board. Money back guarantee. First off, I want to know what the color scheme will be for my second wedding. I have no idea who Jonathan Taylor Thomas is but I am blown away by this story. Ha! Renee, you might remember him as the middle kid (Randy – the cute one) from Home Improvement? OK, here’s an idea (a serious idea): We all, on the same day, write about one or more psychic experiences we have had. I have had tons. None have involved psychics. But I’m being serious, here. What do you think? But can we eat p.b. cups that day, too?? You should see me – I’ve cried during EVERY. EPISODE (I assume those are the kind of tears you are referring to, LOL)! Crazy idea for a show – love it. It is seriously awesome. And they’re less than 20 mins long without commercials, so I flew threw all of the ones on Comcast OnDemand. I think this is actually the second season – I’m dying to get my paws on more episodes! I am your classic cynic. I can always find some excuse for why these people know the things they do. The hubs and I went to a psychic on the boardwalk in AC when we first started dating, and she told us we wouldn’t stay together long. Ha! That was 15 years ago, btw. Maybe because I’ve never experienced anyone with real abilities first hand, if that is even a real thing. See, told you I was a cynic. Sometimes, though, it is beneficial to these people, as it sounds like they might really need to “hear” from their loved and lost ones. I don’t think there is any harm, even if not real, as long as nobody is trying to swindle anyone. Might give closure and peace to someone who really needs it. That’s funny about the A.C. psychic. I agree I need to have more firsthand experiences because I can really make my decision! I’m a bit of a skeptic, but I want to believe. Your JTT story is amazing! You do understand that you are my first source for finding out about all these shows, yes? Yes, and that’s just the way I like it, JM. I will keep you away from the time wasters like CNN, and point you in the more sensible direction (TLC). Have you been watching anymore Glee? Is she legit?? Are you implying that someone would LIE about something like that? Oh, Jules, Jules, Jules… so cynical. And the first time I was in Long Island I really suspected that people were talking like that for my benefit. 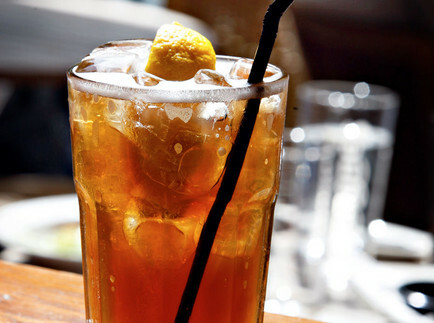 You know, give the out-of-towner the full Long Island experience. I would just like to second the above. All of the above. I haven’t been to Long Island, but that’s what I’ll suspect when I do visit, anyway. Right? I don’t know what’s wrong with me. I think I mostly believe, though. So balance in the universe is restored. Oh my gawd, no, we/they don’t go out of their way for anyone. Get outta he-yah. Definitely a skeptic, but a huge fan of long island ice teas. How many LITs would it take to make you a believer? My general rule of thumb is anybody making a living off of this or ESPECIALLY who has a TV, radio, book deal (read: fame) out of it is fake OR even if they do have something going on, they’re mostly faking it. One of my friends has this ability (I absolutely believe) but it doesn’t happen “all the time, wherever she goes” and she often will not pass on messages. I believe in everything (saves bother), so I’m open to believing but I’m also skeptical — if that makes sense. Paradoxes are comfy. Yes, that’s what I think too when my inner skeptic kicks in – that they might be SLIGHTLY legit, but then make up stuff using a series of OTHER nitty gritty people-reading skills. Sort of like how a magician does slight of hand tricks. And, I will raise my Long Island Iced Tea to paradoxes. And all this time I’ve been going to a Long Island Extra Large…no wonder my life is a mess!!!! Cooper, I had to read this comment twice, and then it clicked. And I snorted. And laughed. At a time when I shouldn’t have. Add another vote to th cynic column. I don’t think so, but I don’t know. But the Gypsies show…now that’s what I’m talking about! I sooo want to believe. And I believe in gypsies 150%, so I think I’ll average that with how much I believe in mediums. Bam. 100%. I totally believe in everything. Math = truth. Thank you so much!! I really appreciate that! I sob every single time I watch that show. I crazy love her!!! And, I have to say, I think she’s legit. Like, 2 legit to quit. I’m so glad you posted about this show!!! I just double-checked Comcast OnDemand to make sure they didn’t have any more episodes added since I last watched on Monday. Nope. Sigh. I need a fix!!! I can’t do reality tv. The formula just drives me crazy and is so predictable.